These aren't great photos.. a bit blurry. But the scenario was memorable. 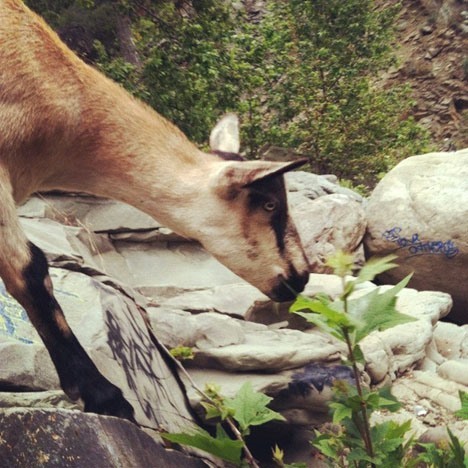 I was hiking in Ojai and came across the guy pictured above. 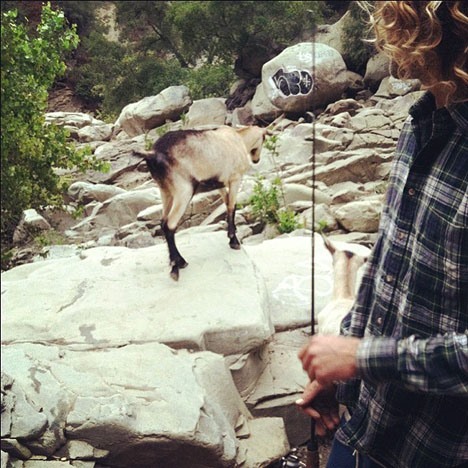 He was fishing with his two pet goats. 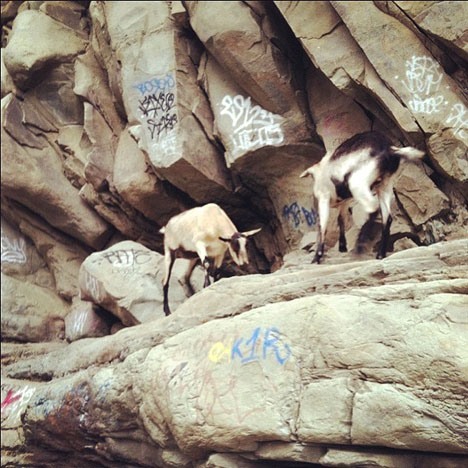 They followed him along like dogs, except they were surprisingly more nimble than a dog, jumping from rock to rock.